Subscribers is a Magento 1 extension that helps you increase your mailing list and sales. Subscribers injects a form into your website that captures the customers email. In return, yes you do give something away, you give a discount coupon. We have made it easy enough to use but we also added a lot of settings to help you customise it for your needs. 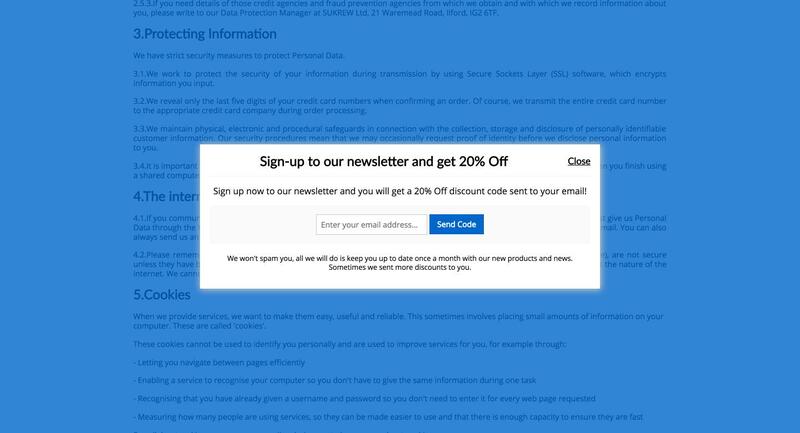 Whether that is the copy used in your forms and emails or whether it is to customise the coupon you give away. Subscribers is all ready.